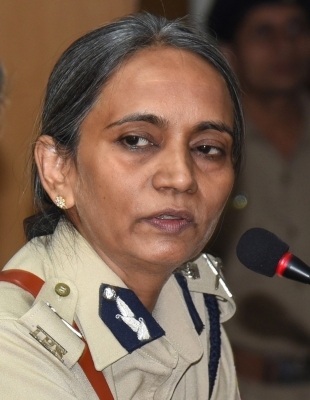 Bengaluru, Oct 31 (IANS) Neelamani N. Raju, an Indian Police Service (IPS) officer of the 1983 batch, has been appointed the first woman Director General and Inspector General of Police (DG-IGP) of Karnataka, it was announced on Tuesday. She succeeds Rupak Kumar Dutta, who is retiring. Raju, 57, was earlier the Director General of Police – Internal Security. 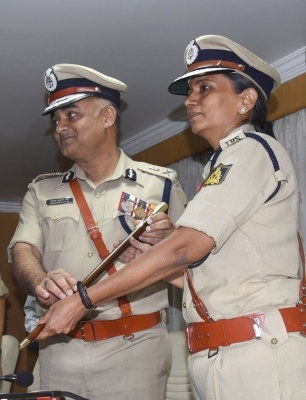 “Congratulations to Karnataka’s first woman DG-IGP… Wish her a successful tenure,” tweeted Chief Minister Siddaramaiah. “I am very grateful to the state for the appointment. It is a very challenging job. With the state elections around the corner, the job has to be carried out very professionally,” Raju told reporters after assuming office on Tuesday evening. In a related development, eight senior IPS officers, including two contenders for the top post of DG-IGP, were transferred on Tuesday. According to an official notification, the contenders — H.C. Kishore Chandra and M.N. Reddi — have been transferred as Director General of Police and Chairman and Managing Director of Karnataka State Police Housing Corporation, and Director General of Police and Commandant General – Home Guards, respectively. Another officer Praveen Sood has been appointed as the new Director General of Police – Internal Security.